Irma is horrified by Madame Helene’s report of children in the mines of Alsace. 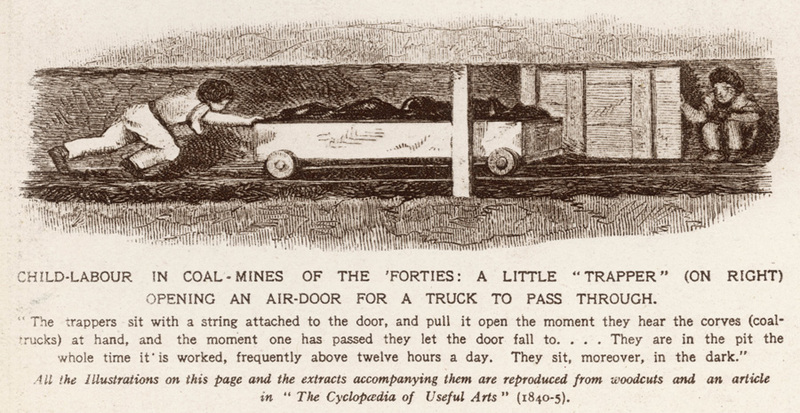 Here is an image of a girl pulling a coal wagon. In Victorian England, she was a “putter” and the wagon a “hutchie.” Child labor in the mines of Alsace was not outlawed until 1903. The image of the “little trapper” is from the American coal fields. This is a short post because there is not much to add to these pictures except to note that the unions so vilified today helped stop this practice.